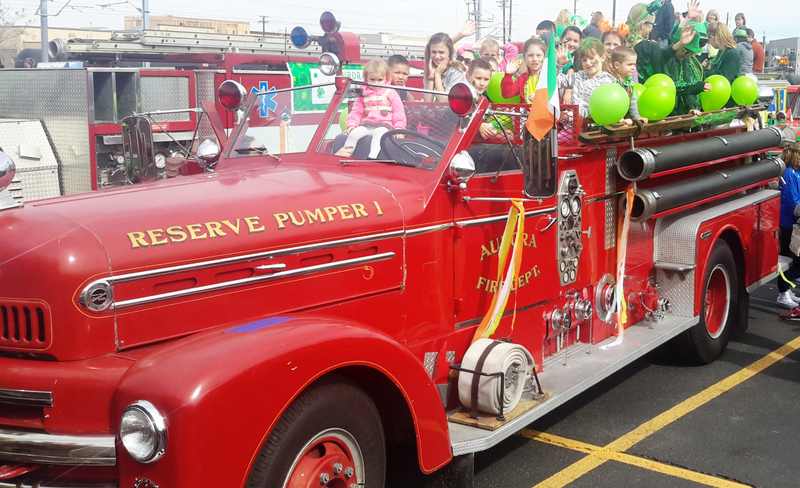 Help the Aurora Fire Rescue save Big John, the beloved red fire engine! 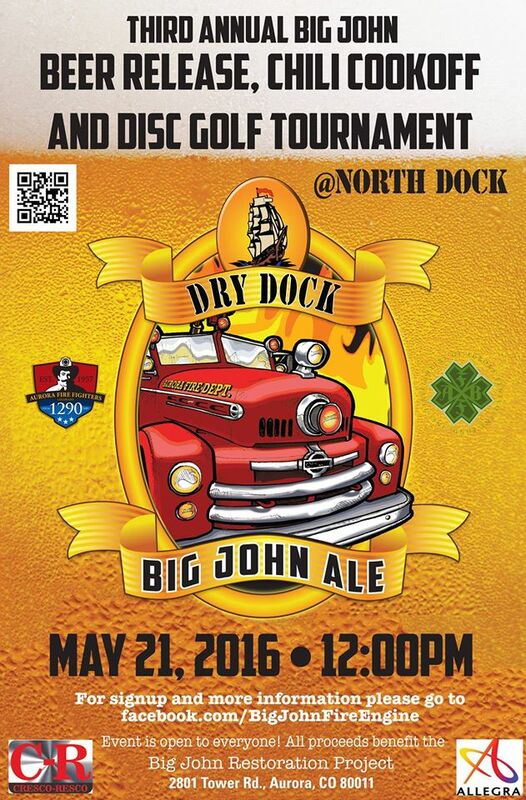 In partnership with Dry Dock Brewing Company, the third annual Big John Beer Release, Chili Cookoff, and Disc Golf Tournament will be held on Saturday, May 21. Are you a chili master? Want to participate in the cookoff? Sign up here by May 14.
the city for 61 years, since 1955. He has been owned by the union since the city decommissioned him as an online fire apparatus in the mid 80’s and is used for parades and community events. These parade apparatus have become cherished relics of the fire service and represent our city in events that span the Denver Metro Area. Restoring Big John is more than fixing an old fire engine. This apparatus has become a symbol of a bygone era and preserving it will have a lasting impact for the firefighters and citizen alike. Big John is in need of extensive body and mechanical restoration and it is our goal to provide him with this well deserved and thoroughly earned restoration. Cost of full mechanical and body restoration is estimated at approximately $40,000, and that is where we need your help. Come join us for a day of family fun for a good cause!